Beautiful three bedroom family home in the Wheatley Park area of Doncaster, close to the Royal Infirmary hospital. 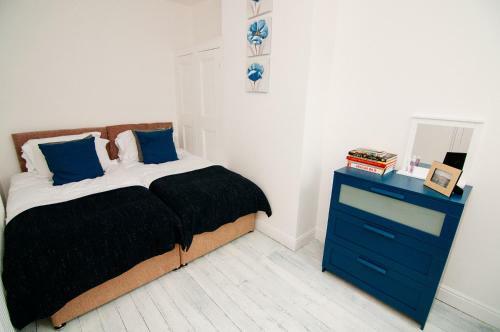 Suitable for up to 7 guests, this stylish and funky property provides self catering accommodation. 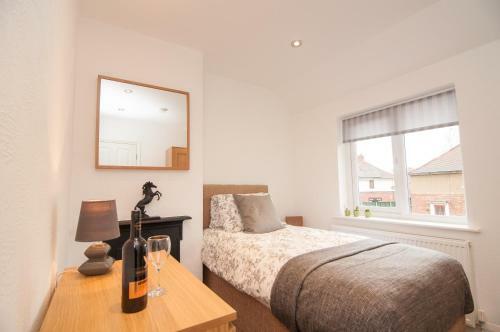 Rockingham House has bright attractive decor throughout and boasts a fully equipped fitted kitchen which includes an oven, hob, microwave, fridge and washing machine. The terrace house also has a lounge with comfy sofa and a large dining table with chairs. Rockingham House provides free wifi and free private parking. 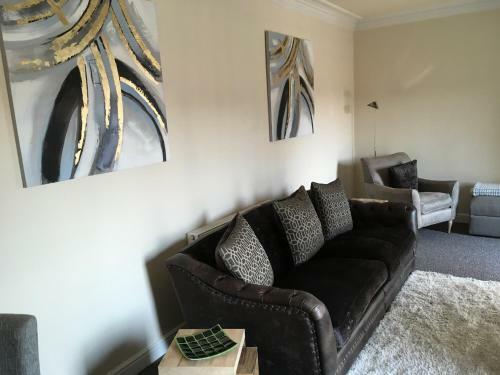 Very highly rated Doncaster self catering under 700 yards from the town's race course. This 3 bedroom house can sleep up to seven people and is stylishly decorated and furnished throughout. Doncaster Racecourse is the home of the St Leger. The Keepmoat in Stadium Way is home to Doncaster Rovers FC. Cast is a contemporary glass-front theatre in Doncaster town centre with a varied programme of performing arts throughout the year. Large entertainment compex in Doncaster with a big water park, an ice rink, a gym, sports courts, and a restaurant. Major South Yorkshire railway station with services to destinations such as London King's Cross, London St Pancras, Sheffield, Leeds, Lincoln, Newcastle and more. Doncaster's shopping mall which is home to Debenhams and a variety of other stores and cafes. Sheffield is South Yorkshire is famously known as the Steel City.